VK Sharma, Head Private Client Group & Capital Market Strategy at HDFC Securities said," Reliance saw profit booking as the company unveiled its foray into the broad band services known as 'Jio Giga Fiber'. This is a smart move by the company in a sector that has not seen keen penetration. The stock had risen 6% in the run up to the AGM, so a correction was not out of place." 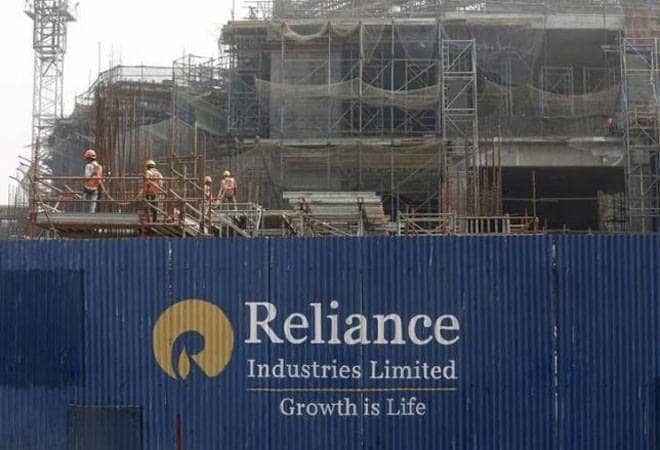 Market heavyweight Reliance Industries closed 2.53 per cent lower to 965 level after the conglomerate's chairman Mukesh Ambani unveiled a mega fixed-line broadband initiative and announced plans for an e-commerce platform that may rival the likes of Amazon. Shares of cable TV service providers Den Networks and Hathway Cable closed 10.73 percent and 15.40% lower after Reliance Industries launched ultra high speed fixed line broadband services for homes and enterprises. The stocks fell on the likely impact of this new fiber broadband service on existing cable TV service providers' customer base. Earlier, the Reliance Industries stock crossed the 1,000 level in early hours before the conglomerate held its 41st annual general meeting today. At 10:24 am, the stock was trading 1.21% or 12 points higher at 1,003 level on the BSE. The stock is just 3.28% away from 52 week high of Rs 1035.80. It has been rising for the last three days, clocking 4.36% gains during the period. The stock has gained 39.03% during the last one year. Since the beginning of this year, the stock has delivered 8.67% returns. HDFC Securities on May 3 gave a price target of 1,178 level for the stock. The stock was trading at 963 level when the target was assigned. The recommendation said investors can buy the stock at 973 level. On May 3, 2018, HDFC Securities gave a buy call on the stock when it was trading at 963 level. The brokerage assigned a target price of 1,178 for one year. On April 28, 2018, Motilal Oswal too gave a buy target of 1,150 for the next one year. The price of the stock stood at 999 level when the recommendation was posted. Equirus Securities gave a target price of Rs 1045 on April 29, 2018 post its Q4 earnings, which does not seem out of sight now. The brokerage said, "We expect the full benefit of vertically-integrated petrochemical expansion and an improvement in Reliance Jio's operating metrics to drive a 13% operating profit CAGR over FY18-FY20E. RIL's stock has been outperforming the benchmark and building in strong growth for Reliance Jio." In Q4 of last fiscal, Reliance Industries reported its highest quarterly net profit of Rs 9,435 crore on record earnings from petrochemical and retail business and rise in profitability of its upstart telecom unit, Jio. The company's total revenue stood at Rs 109,905 crore, which rose 30.5 per cent as compared to Rs 84,189 crore in the corresponding period of the previous year. RIL's net profit was at Rs 7,533 crore in the corresponding period of the previous year. The firm has been clocking a rise in its net profit during the last five financial years, with an exception of FY 17 when it reported Rs 29,800 crore in net profit, Rs 100 crore less than the previous financial year. It reported its highest net profit of Rs 36,100 crore for FY18, a record rise of Rs 6,300 crore compared with the previous financial year.